Need of changing or updating address in bank account could arise on several occasions like you might have shifted to new place, or you might have bought new house. So in such cases changing or updating address in bank accounts becomes very essential. Getting communication or permanent address updated in your Axis Bank Account is not a big issue, if you have valid address proof documents available with you. So in this article we will let you know how to change or update address in Axis Bank Account whether it is communication or permanent address. 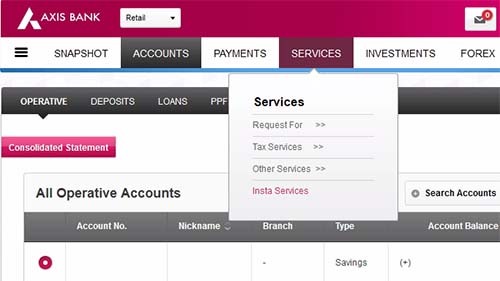 Now a days everything is going digital and India is also moving towards initiative Digital India, so Axis Bank is allowing its customers to get their Address or any other details updated via Axis Bank Internet banking Mode. However those who are uncomfortable with online Axis Bank Internet banking mode can always opt for traditional method that is by visiting the branch. So in this post we will be going to discuss both the modes on how to change or update Address in Axis Bank Account. To change or update your address via Axis Bank Internet Banking, just login to Axis Bank Internet banking using your user id and password. Once you are logged in, just navigate to services and under that click on Insta Services. To access Insta Services page you will have to go through authentication process which will send you OTP that is NeSecure code on your registered mobile number. 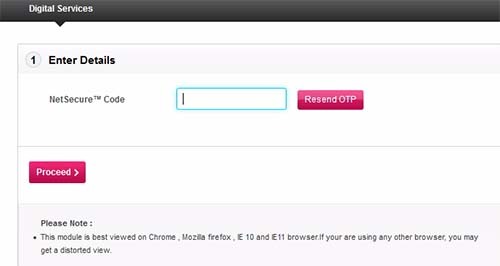 Enter the receive OTP that is Net Secure Code in the field and click on proceed button. A new page will be popped up which will contain Profile, Contact and Account. Just click on Contact tab and under that you will get option Update Communication Address, and Update Permanent Address. If you want to update both Communication Address, and Update Permanent Address then you will have to update it one by one by selecting it. 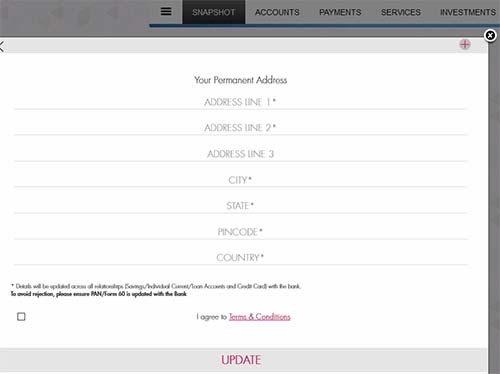 On Selecting Update Communication Address or Update Permanent Address it will display your existing address. So to update the address just click on that address and new screen will open where you will get fields to options your complete address. Just enter your complete address as it is in your address proof document and click on I agree terms and condition and update it. Make sure the address which you have entered should exactly the match the address proof document or else your address update request would get rejected due to mismatch error. On next page it would ask you to upload Proof of Address Document like Driving License, Aadhaar Card, Passport or Election Card. 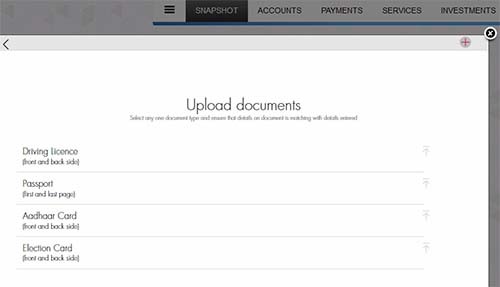 Make sure you have these documents ready scanned on your computer or laptop, just upload the document by selecting the appropriate document name and click on update button once the document successfully gets uploaded. 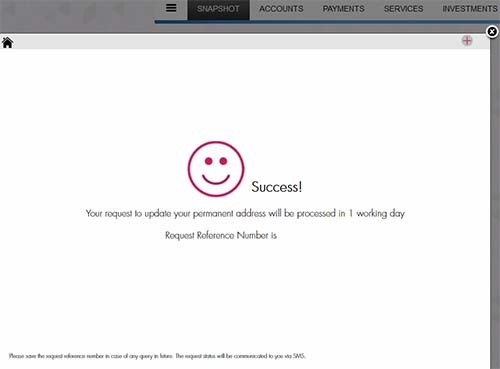 On submitting you will get on screen message saying success your request to update your permanent or communication address will be processed in in 1 working day and request reference number will also be mentioned on it. Take any of these document along with you and walk in to Axis Bank Branch. Request at the branch that you want to change your address in your Axis Bank Account. Bank Executive will provide you application form to update the address. Fill up the form, enclose the address proof documents and submit it to the branch. 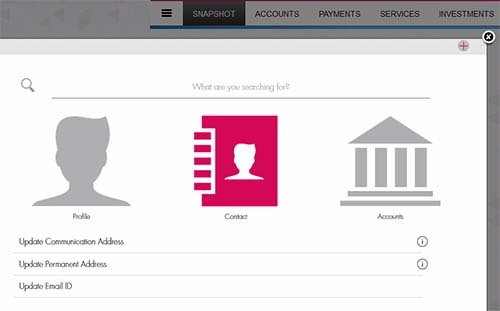 Bank will verify the documents and details and upon verification your address in Axis Bank Account will get updated. You will also receive SMS on your registered mobile number stating the new address has been successfully updated in your Axis Bank Account.